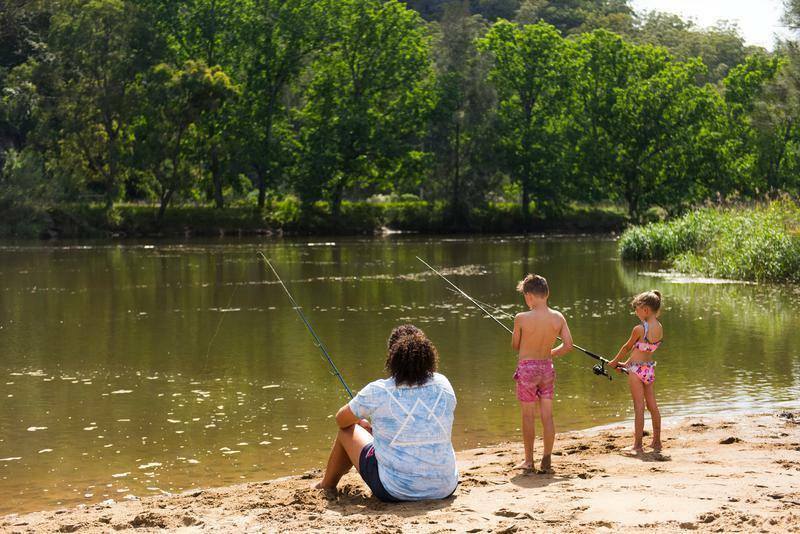 You’ll find our 150-acre Hawkesbury River accommodation with historic homestead and country garden filled with endless possibilities for finding your adventurous side or simply enjoying pure relaxation. Welcome to Cross Park! You’ll discover a plethora of possibilities for relaxation and adventure on our beautiful 150-acre riverfront property. Ideal for swimming, fishing, picnics and more, our private secluded beach is tucked into a bend of the meandering Macdonald River. 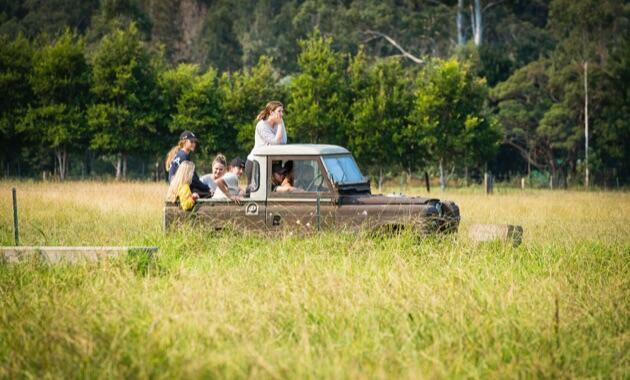 Along the stroll from the house to beach you’ll stroll through lush paddocks and paths. The ideal spot for reading good book, simply enjoy the serenity or casting the line of your fishing rod. An inviting spot to unwind or experience an adventure, our Macdonald River property with boat ramp and jetty is available to all guests. 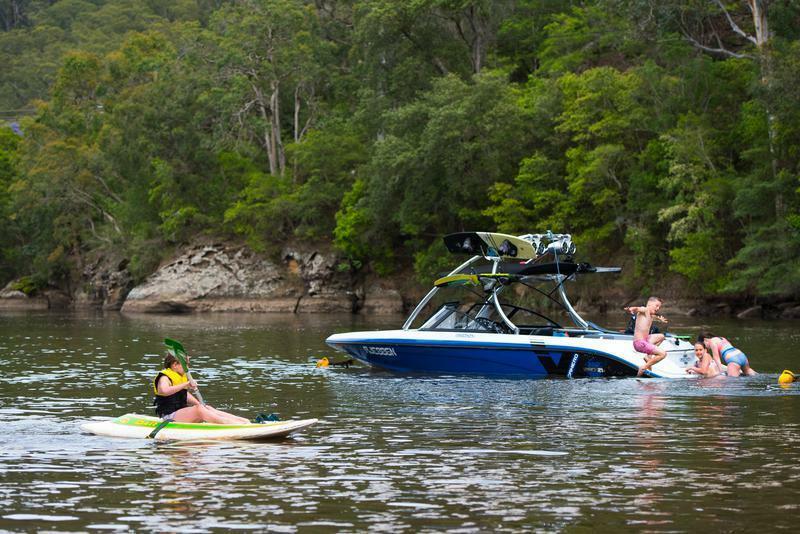 The adjoining Hawkesbury River offers an additional water sport outlet you’ll not want to miss. 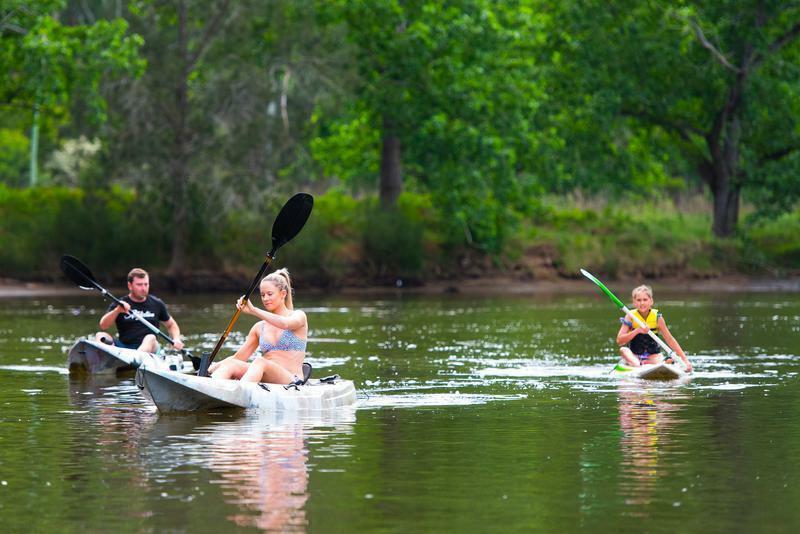 Whether you bring your own boat or take out one of supplied kayaks you’re sure to enjoy all of the water sport activities our riverfront property has to offer. Out on a walk and you’re sure to meet our friendly farm animals along the way. They love treats, so please do feed the animals! Enjoy a leisurely tour of the Cross Park Estate and meet our beautiful equine family. A portion of the farm is designated to our equine friends and boarders. The property is thoroughly enjoyed by equine enthusiasts. 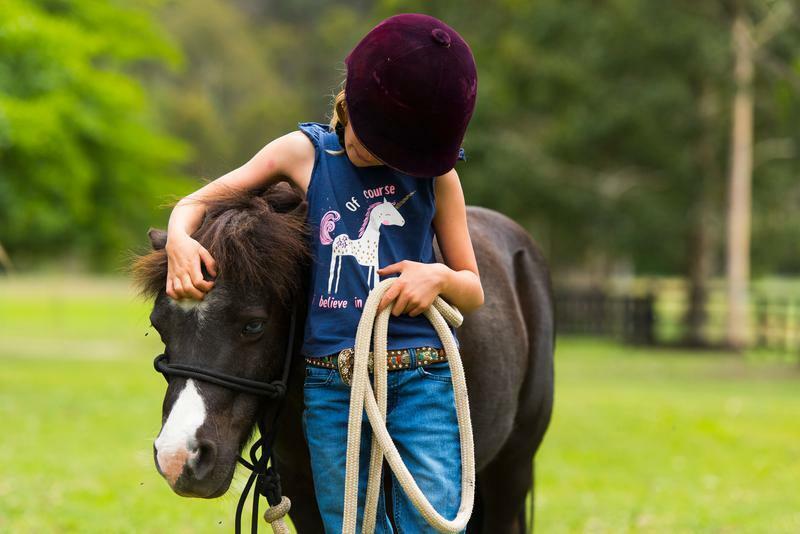 Additionally, pony rides for the kids or a personalised riding lesson or tour are available upon booking. Children's pony rides and personalised riding lessons or tours are available. Booking ESSENTIAL Safety helmets provided. 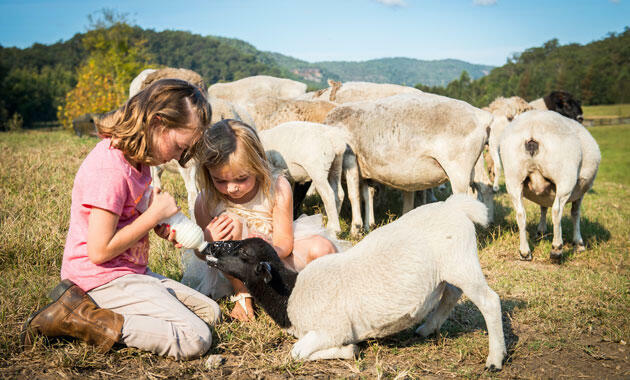 While our 150-acre property offers ample possibilities for exploring the Hawkesbury countryside, you’ll love a taste of local culture from surrounding towns, pubs, historical landmarks and national parks. Wisemans Ferry village boasts many sources for any necessities you might need during your visit with their convenience store, café, coffee shop, bistro, service station, bowling club and golf range. The surrounding area abounds in Aboriginal and European history for buffs who are looking to delve into the region's roots. 4850ha Dharug National Park additionally contains 16km of the convict-built Old Great North Road once connecting to Sydney and Newcastle. Visitors can bike ride or hike the nearby Divines Hill loop, fabulous panoramic views, great examples of convict-era engineering and spectacular sandstone walls. A must do! For those wanting to explore a little more, the historic Settlers Arms Inn, built in 1836 is a 15km drive into the village of St Albans. Situated on the banks of the Macdonald River, enjoy a beverage or a meal. The Inn is very popular with day trippers and there is often entertainment and live music in the garden. Explore Cross Park Estate through our image gallery.